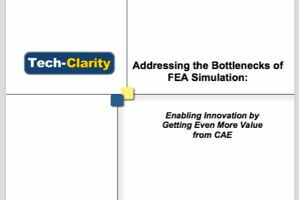 Tech-Clarity’s Addressing the Bottlenecks of FEA Simulation: Enabling Innovation by Getting Even More Value from CAE shares survey results on the simulation process. The analysis identified the top simulation bottlenecks that slow down the process. 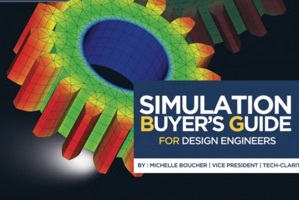 With a better understanding of these bottlenecks, manufacturers can take steps to minimize them and consequently, get even more value from simulation.